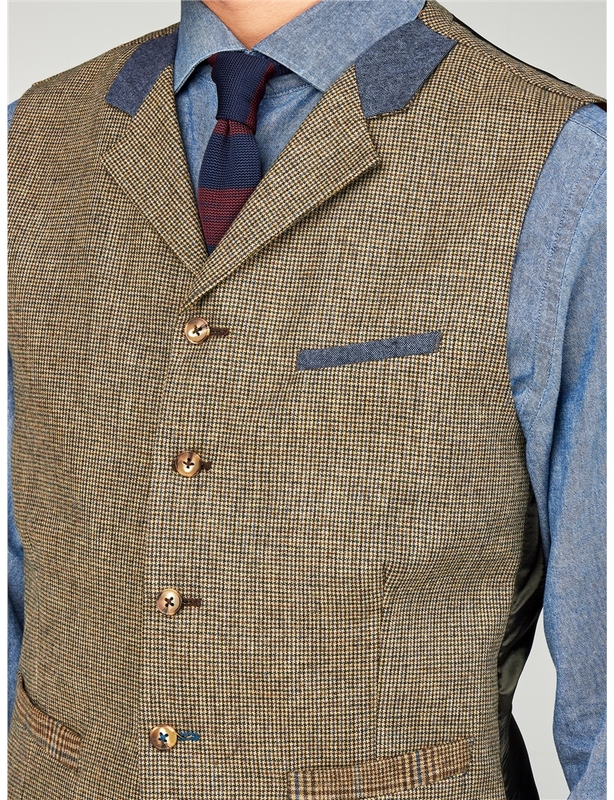 An Artisan men’s waistcoat for the truly fashion centric. 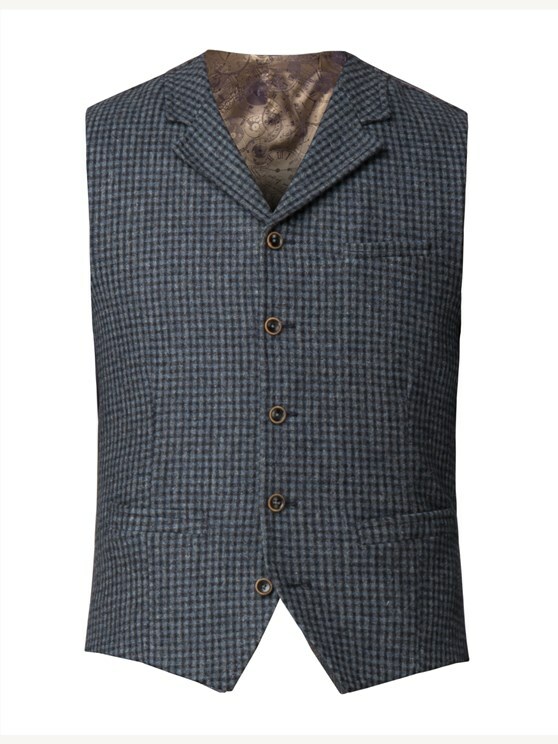 With our Tyburn slim fit, this men’s puppy tooth waistcoat represents true Carnaby designer style for the man seeking a statement of class, attitude and colour, with vibrant tones of fawn browns and blues in a wool rich, artisan puppy tooth tweed fabric. 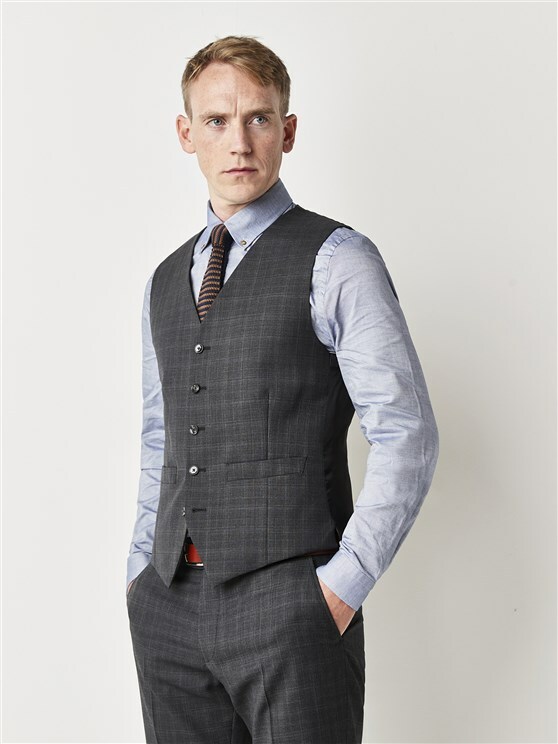 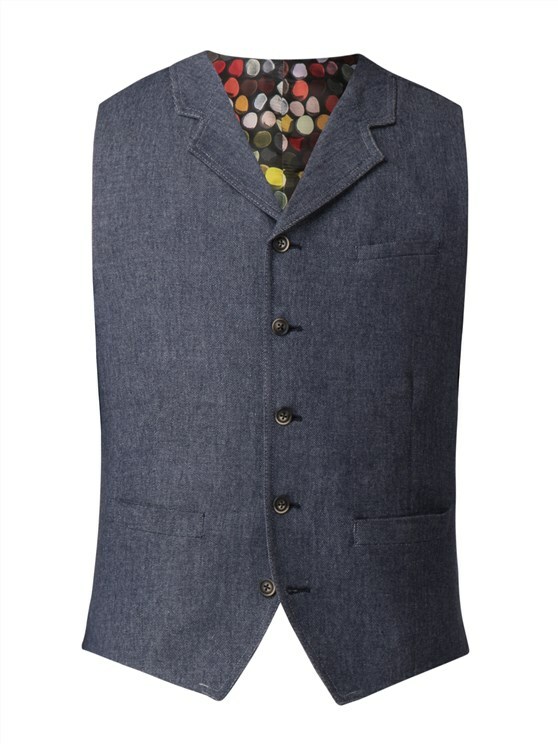 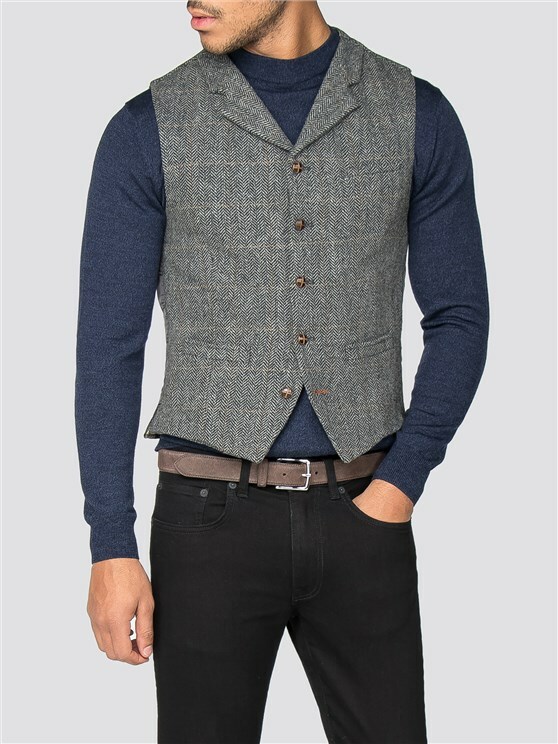 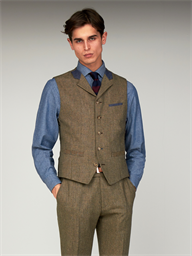 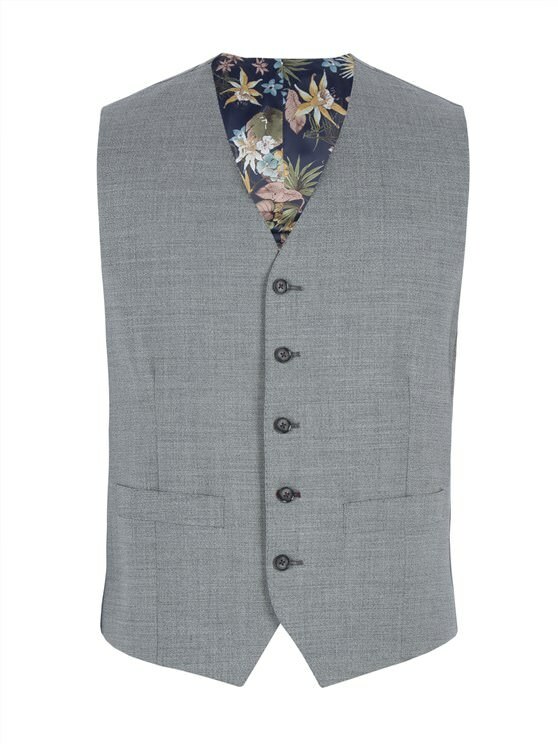 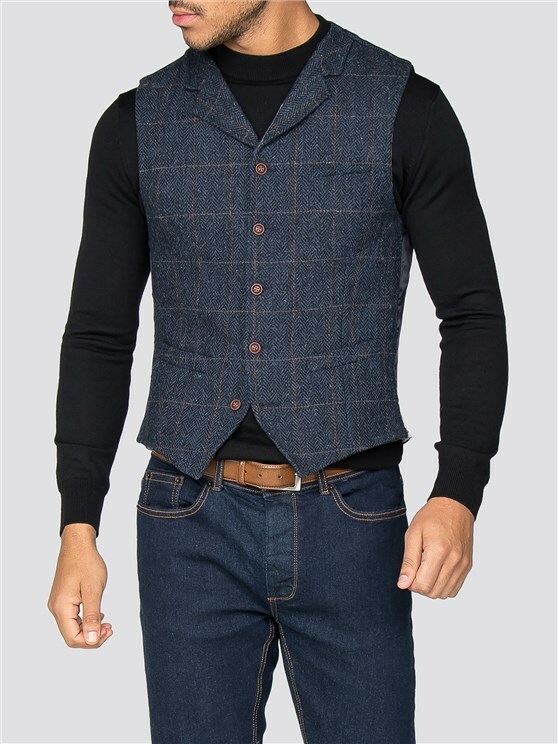 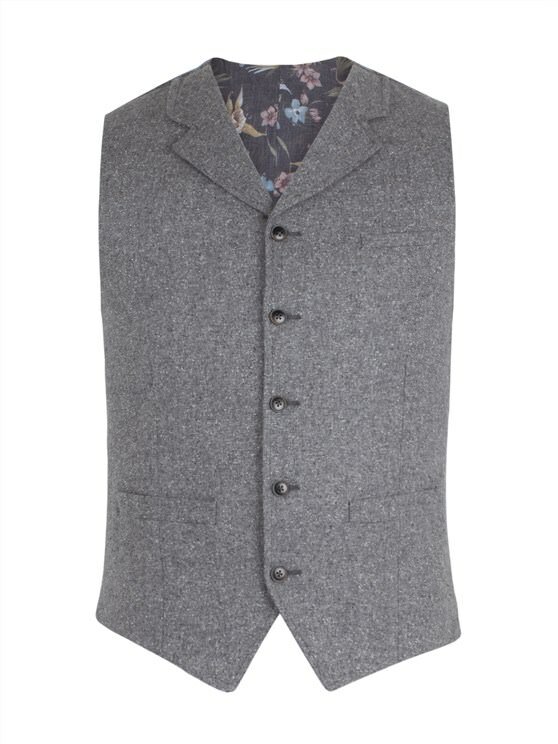 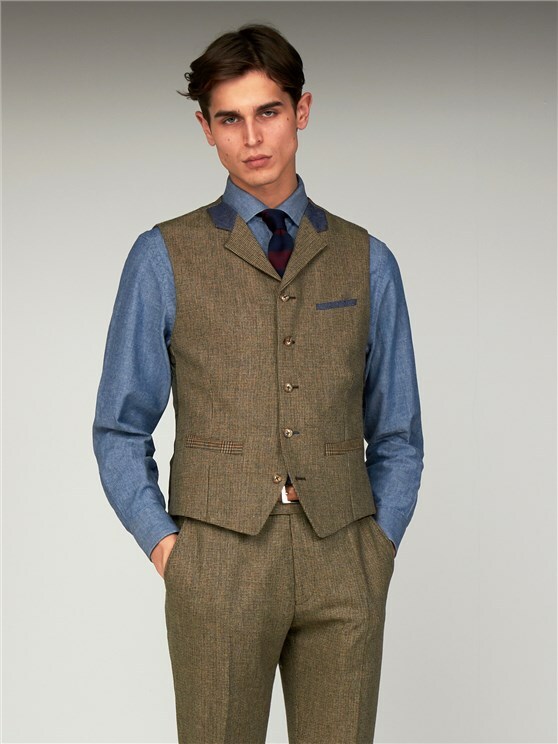 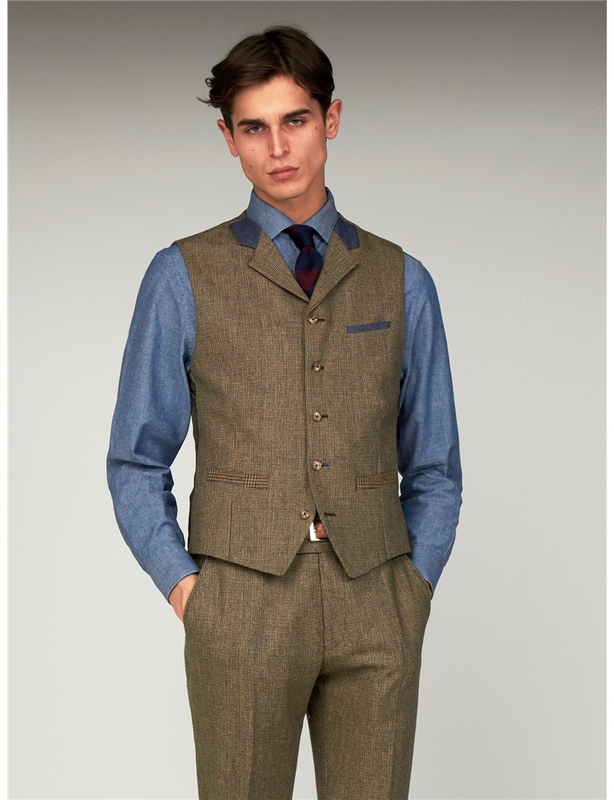 This men’s tweed waistcoat is designed to make a statement, with notch lapels and contrasting features to treat the eyes. 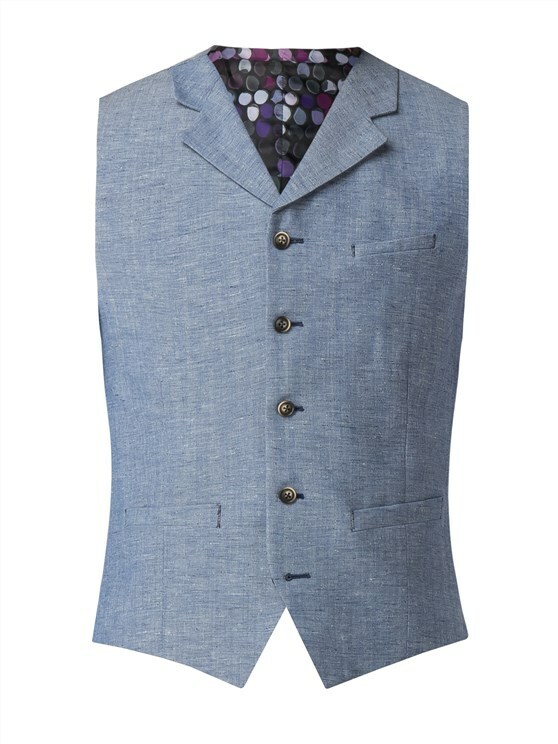 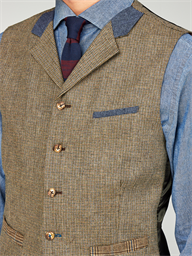 With satin orange lining, contrasting blue linen upper collar patch and a blue pocket welt to the chest, this men’s wool rich waistcoat goes one step further, with checked men’s waistcoat pockets to the waist and contrast button thread, completing a men’s suit or formal outfit with style, detail and incredible class, with a heritage colour scheme and Best of British look to combine, enrich and enliven your look with a combination of other Gibson London Products.